Piloted by a majestic Quick-Step Floors lead-out train, the Colombian claimed his sixth success of the season in Elk Grove. 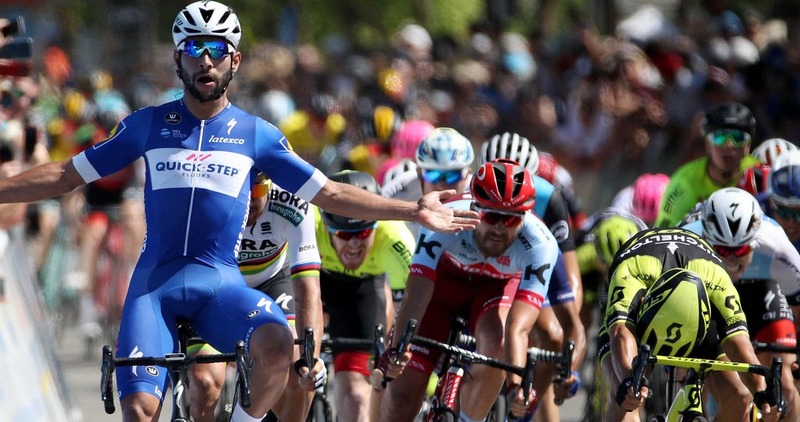 Fernando Gaviria emerged victorious from a nervous peloton who caught the last survivors of the day’s breakaway just as the flamme rouge arch was looming on the horizon, after a big crash initially disrupted their efforts with four kilometers to go, and took Quick-Step Floors’ season tally to a staggering 31 wins, 16 of which came on the World Tour circuit. “I am happy for this nice victory, which couldn’t have been possible without my fantastic team. All the guys did a brilliant job and being able to repay their work with this win gives me a lot of satisfaction”, Fernando said seconds after crossing the finish line. Neo-pros Kasper Asgreen and Jhonatan Narvaez were the two Quick-Step Floors riders who kept the five-man breakaway on a tight leash, helping with the chase and making sure the day would be an easy one for the bunch, before Iljo Keisse, Alvaro Hodeg and Maximiliano Richeze took the front in the closing kilometers, forming a stellar lead-out train which brought Fernando into position as the race was coming down to crunch time. 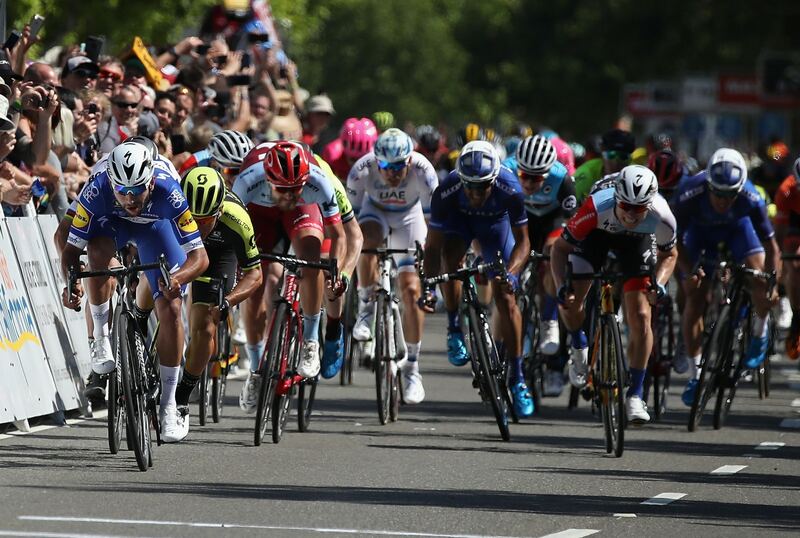 Once Richeze peeled off the front, Gaviria put in an enormous acceleration 200 meters from the line, dashing to a clear victory in Elk Grove – a stage finish at the Tour of California for the first time – where the podium was completed by Caleb Ewan (Mitchelton-Scott) and Peter Sagan (Bora-hansgrohe), just like in Long Beach on day one, when Fernando took his first ever win in the United States. Laurens De Plus remained Quick-Step Floors’ best placed rider in the general classification and will start the queen-stage (Folsom – South Lake Tahoe, 196.5 kilometers) in eighth overall.